It can be difficult to keep your home from looking like a day care when there are a couple of kids running around, but there are many storage options that appeal to design conscious moms. Before the baby comes, parents start thinking about how they are going to handle all the colorful plastic toys. Even if you don't buy them for your kids, others will. The plan may be to keep it all locked up in the little one's nursery, but once that baby actually starts playing with all the fun gifts he or she has received, the notion that those noise makers can be restricted to one room is a bit unrealistic. You may be flipping through your favorite design magazine wondering where the home owners hide their children. Before those pictures are taken, every remnant of real life is removed, and every toy is tucked away out of sight. No one’s home looks that pristine all the time. Even with the best system for attractively tucking away toys, they will be out and on the floor at some point. The key is to have a place to quickly put them when not in use, particularly when there are guests. Here are a few systems to make toy storage throughout the home more manageable. With all the storage cubes and baskets that fit perfectly into bookshelves, it would be a shame not to utilize this traditional piece of furniture. Toys can be easily tucked into baskets placed on lower shelves, allowing easy access for children and a clean look for moms. 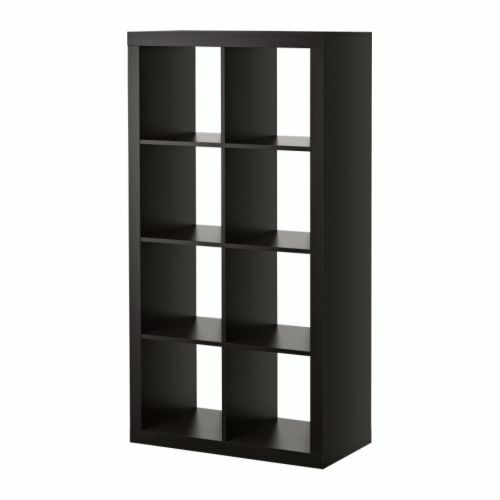 The Ikea Expedit is a great option for moms on a budget. Different types of storage cubes and baskets are sold separately, making it easy for this system to work with your personal decor. It doesn't have to be called a toy box for it to be used as a toy box. 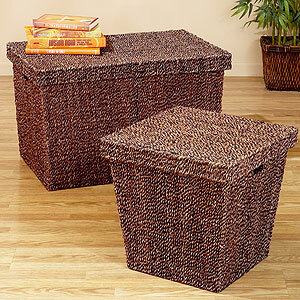 A chest like the Marled Seagrass Trunk from World Market can be used to hide away toys. 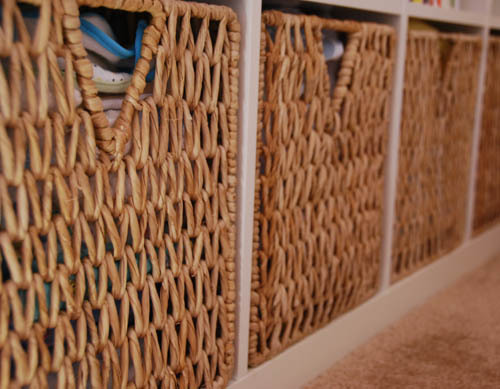 Even a beautiful hamper or a large basket can be placed in the living room for toy storage. A storage ottoman kills two birds with one stone, maybe even three birds. 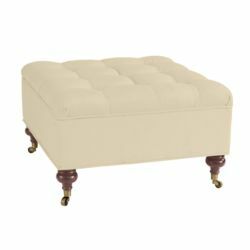 Not only can toys be placed neatly away in a storage ottoman, but a large upholstered one, like the Square Tufted Storage Ottoman from Ballard Designs, can be used as a baby friendly coffee table and additional seating. 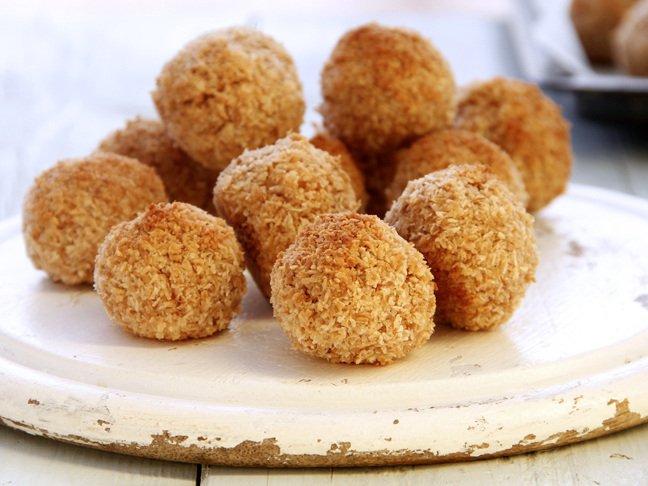 Friends will be awe, wondering how you successfully managed to resist the plastic.